Welcome back. As you can tell by the title of this post, I’m going to keep things short. This isn’t entirely because I’m lazy (although I am, oh boy, I sure am), but rather because I’m gonna talk a spell about writing short stories. When I first got into this whole being a writer thing, I envisioned myself writing for only two different mediums: comics and novels. When my first attempt at writing a novel, it was called The Sands of Al-Hajarah, resulted in an unreadable mess, I knew I was going to have to cut my teeth a bit first before I jumped back on that horse. So I set to work on my first short story. The process of writing the short was wholly enjoyable for me. I really didn’t have to worry about all the detail needed in a novel, instead I could just focus on the good stuff. The story was not good, in fact it was very, very, very, very, very bad. But, I thought it was the bee’s knees, so I promptly found a horror magazine and submitted it. I’m not gonna lie, I was pretty much certain they were going to get back to me a few days later—even though their submission page said it would take 6 – 8 weeks—and tell me that they were going to publish the story. As days slipped by, I began to despair. I had written the greatest piece of awesomeness ever imagined and yet, I was getting no response. Finally, an email showed up, and it had nothing good for me. 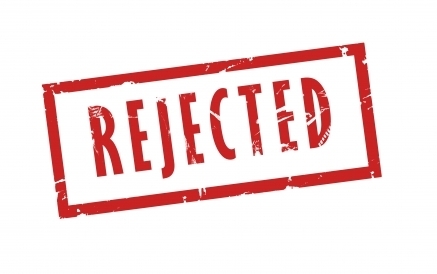 Sure, the editor was nice in their rejection, but still, it was a rejection. Before you cry for me, it would have been worse had they taken the story; the magazine went out of business before it would have been published. That would have been a bigger kick in the nuts somehow. Despite the rejection, the experience of writing the story paid dividends. So many of the mistakes I had made in my novel were fixed in the short. My eyes were opened. Short stories are walking to a novels run. I basically switched my focus completely at that point to short stories, only recently coming back to the novel (see my second post). I think I’ve written about fifty short stories since that first attempt. They are not all good, at least ten or so have never been read by anybody but me (and never will be). About a quarter of my stuff is up at Adventure Worlds for your reading pleasure, with more coming in another format in the (fingers crossed) near future. Now, on to a bit about my process. First things first, I need an idea. Writing short stories can be a challenge at this stage because the idea can’t be so complicated that it would take twenty thousand words to write, but on the flip side, it can’t be so simple as not to be interesting. I tend to get inspiration from everyday things. For instance, the story (333) (found at Adventure Worlds and also in print form in an upcoming issue of the Independent) came to me while selling some comics on Kijiji. Once the idea appears (often like magic) I quickly make a note of it somewhere, a note book works quite nicely, and from there I break the idea apart (think pulled pork) until I have a bunch of pieces that I can elaborate on. Then I start typing. Like always, the final product has inevitably varied to some degree from the original idea. And it’s ready to publish, or to bury somewhere in my computer (depending on the quality of the story). And that’s that. At this point I can’t imagine ever not writing short stories. They allow a writer a certain freedom, freedom to be different and daring, freedom to try new things and experiment. ← 003 : I’ll have a double scoop of Horror in a sugar cone please! I like how your take on short stories is a lot more personal than mine was. I was a bit clinical, but I got across what I wanted to say. I am also in complete agreement about cutting your teeth with short stories. They have done no end of good for me and I feel a lot of accomplishment when I finish (that I wouldn’t get from slogging thought a novel). Even when I move onto the novel as a main focus, I still think I’ll be exploring things with short stories. You make it all sound so effortless. I like the comment about your upcoming appearance in the Independent too. Slick.